But unclear about how that would look in your business? The secrets for generating massive revenue from group coaching, even if you run a low-priced group and don’t have tons of participants. A simple pricing formula so you can confidently set your group coaching fees. How much content you really need when coaching groups. 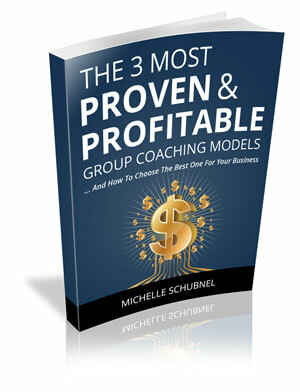 The best way to generate ongoing revenue through group coaching… And much, much more! I think you’ll find it really useful! …my favorite part starts around the 4 minute mark. Watch the video and get the free eBook now.